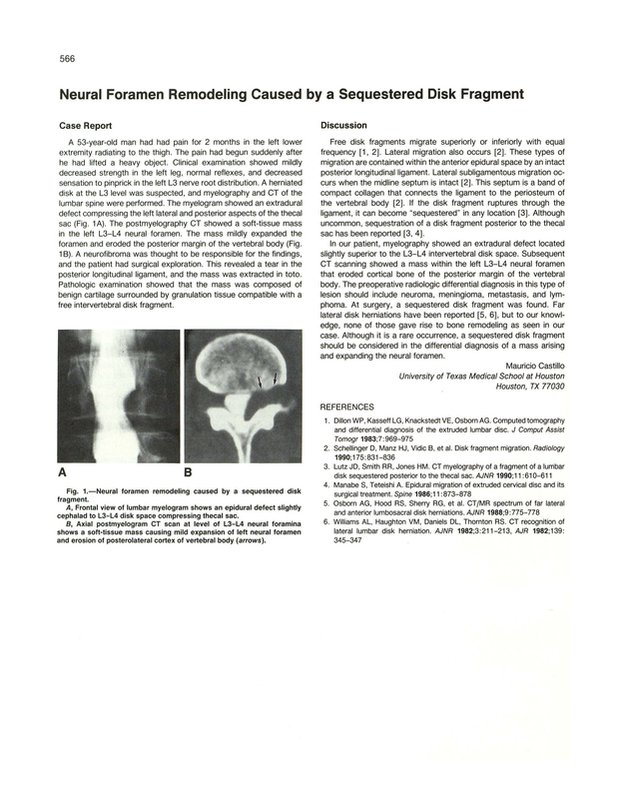 Neural foramen remodeling caused by a sequestered disk fragment. University of Texas Medical School, Houston 77030. You are going to email the following Neural foramen remodeling caused by a sequestered disk fragment.